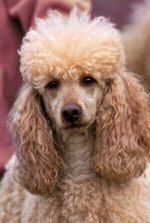 When potty training puppies, you may want to paper train your poodle. 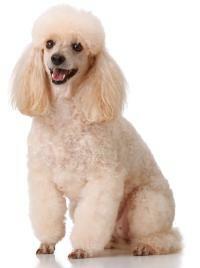 This is the most common method of getting your poodle to go potty where you want him to. When puppy paper training, choose a room without carpeting for easy cleanup and one with a door. If there is no door outside the room, use a gate to keep her in that area. A baby gate should work fine. Keep things out of the pup's way that can harm him. This type of house training a puppy works best for toys and miniatures. Move his crate to this room with the door open. Put water and some toys in it for him. Put newspaper over the entire floor. You can put a shower curtain under the newspaper to prevent floor damage. Once your pup goes potty, remove the newspaper where he went. Praise him, "good boy", so he knows he did a good thing. Put clean newspaper down on that spot. After 2 days, remove some newspaper so that a smaller area is covered. Each time he potties, praise him, remove the dirty newspaper, and put clean down. Continue removing areas of newspaper every few days until you have one small area that will be used when you are away for long periods of time. Then take all the paper away. This helps him hold his bladder. To switch from paper training to outside pottying, take a piece of soiled newspaper and place it in the yard. Walk your pet over to it so he smells it. He'll know this is the place to potty. House training a dog takes time, patience, perseverance and lots of love. 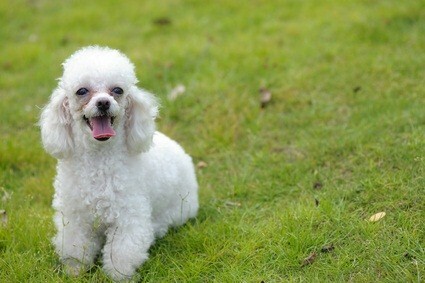 Your poodle learns quickly and will learn that pottying outside makes you happy and will soon be doing it herself.